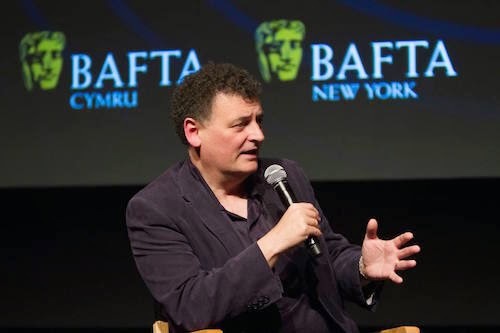 Wales Online have reported that writer Steven Moffat is to continue as Doctor Who show runner for at least one more year. Speaking at an event last night in New York celebrating ten years of New Who, Steven was interviewed by Welsh journalist Jaci Stephen – read her report on the event here. Doctor Who Series 9 is currently filming with 12 episodes and a Christmas Special before the end of 2015. All being well, Series 10 will broadcast in 2016.